Imagine seeing a puppy or pure-breed dog online that needs a home. Maybe the owner is in the military and got transferred. Perhaps the family simply can't afford it any longer. Or it's just a great deal for breed that can cost a ton. If you're an animal lover looking for a new pet, it can be awfully tempting. 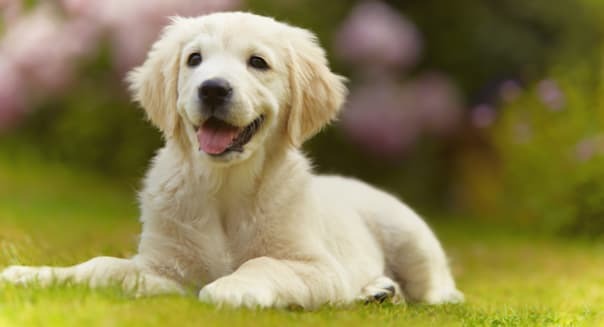 But the Federal Trade Commission on Thursday issued a warning that an old scam that involves conning people with photos of an adorable pooch is back -- and more finely tuned than ever. In other words, that cute dog is a lure to get you to cough up some cash. For one thing, the folks with the dogs (or sub in any other animal someone might want) will be far away. Your cost might only be the shipping, they claim. At least that's how it starts. Once you go for that initial payment, the scam artists know you're hooked. So, then they'll spring on requests for more money. The reasons: such things as veterinary bills, an inspection fee or crating, the FTC said. "But when it's all said and spent, Lassie never comes home -– because she wasn't really for sale in the first place," the FTC warning said. Don't pay by money transfer or reloadable cash card. Using Western Union (WU) or MoneyGram (MGI) or GreenDot (GDOT) MoneyPak, Vanilla Reload or Reloadit is the same as sending cash. They are the preferred methods of payment for crooks. Do your research. Before you move forward, find out the seller's full name, phone number and mailing address. Then search online for the seller's name or phone number with the word "scam" or "complaint." Do a reverse image search of the photo to see if it appears in older ads. To do this, right click on the photo and select "copy image location" or "copy image address," or go to "properties" to copy the image's location on the Internet. Paste the link into a search engine and select the option that allows you to search by image. If the same picture shows up in an older listing, it's probably a scam. If you want a pet, consider adopting from a local animal shelter. Pets of all types are in shelters across the U.S. waiting for loving homes. Many can be adopted for a small fee. Here's the last word from the FTC: "If a pretending pooch peddler pilfers money from your pockets, file a complaint with the FTC." And, if you used a money transfer service and realized you were scammed, report it to that service, too.